Avenus.com provides wide range of latest bras, lingerie till sweet pyjamas from Korea and Japan. 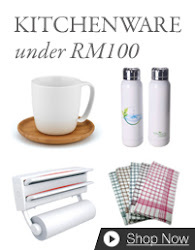 The prices are affordable from RM15 and above. Also, check out with their latest seamless and push-up Korea's Eve bra. Mmm....wearing bra but feel like not wearing bra. Thumb up!Avenus.com is the 1st Malaysian online wholesale distributor.